As a prominent company, we are engaged in manufacturing and supplying a wide range of Injection Moulding Services to our clients. Owing to its optimum efficiency in moulding processes, our provided machine is high on demand in various industries. At our sophisticated manufacturing unit, the offered moulding machine is precisely engineered using quality tested components and innovative technology. Furthermore, our provided machine is highly acclaimed by our clients for its highly efficient operation, automatic control and energy efficiency. Incorporated in the year 1994, at Ahmadabad (Gujarat, India), we, “Indo German Tool Room”, are actively engaged in Manufacturing and Supplying an extensive range of Injection And Plastic Mould, Blow Mould, Rubber Mould, Die Casting Die, Press Tool, Fixture And Gauge, Plastic Rapid Prototyping Machine, Industrial Engineering Machine, Injection Moulding Machine, etc. These machines are manufactured in accordance with international norms using premium raw material, which is sourced from the reliable vendors of the market. The offered range of CNC machine is known for its corrosion & abrasion resistance, robust construction, longer functional life and seamless finish. 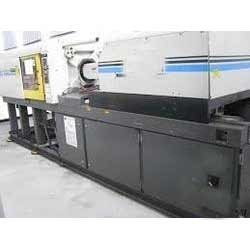 Also, our machines are available in various options and can also be customized as and when required by clients. Our professionals possess in-depth knowledge of their respective fields, which help them develop the best products for the clients. Plot No. 5003/5009, Phase - 4, G. I. D. C.